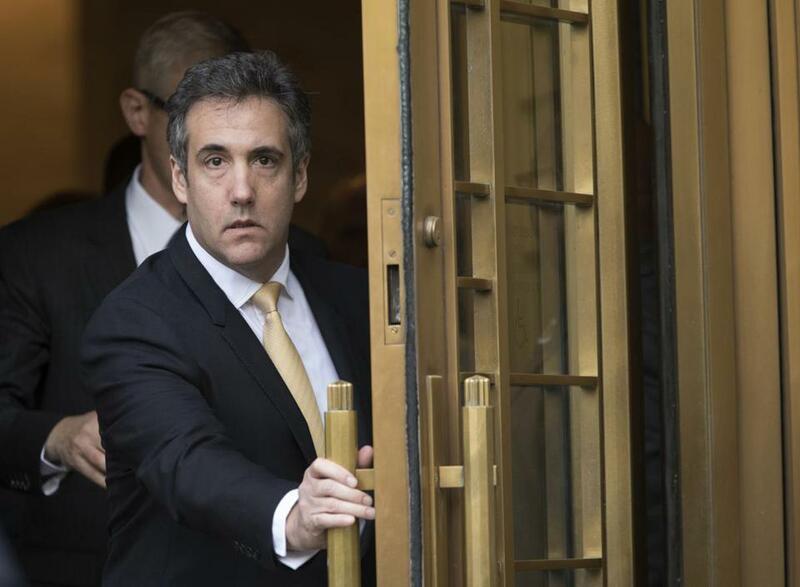 The actions of Michael Cohen, seen leaving court in New York last year, had been under investigation by federal authorities for some time before his office was raided in 2018. NEW YORK — Federal authorities investigating Russian interference in the presidential election obtained search warrants for e-mails of Michael Cohen, President Trump’s former lawyer and fixer, beginning in July 2017, according to documents released Tuesday that provide a glimpse into the earliest stages of the inquiry into the president. The documents show that Cohen’s business dealings had already been the subject of an extensive investigation by the time FBI agents conducted a highly public raid on his home and office nine months later, in April of last year. The public did not learn of those payments, or that Mueller’s prosecutors later interviewed Vekselberg, until almost a year later. One newly released search warrant said that the FBI and Manhattan federal prosecutors were investigating Cohen for a range of crimes, including defrauding several banks dating back to 2016 and a scheme “to make an illegal campaign contribution in October 2016 to then-presidential candidate Donald Trump.” The warrant also indicated they were investigating him for wire fraud and conspiracy. The documents give a rough timeline of how the Cohen investigation unfolded. Starting in July 2017, two months after Mueller’s appointment, and stretching through November, his office obtained three search warrants for Cohen’s e-mails and another for his iCloud account from a federal judge in Washington. By February 2018, Mueller’s office had referred aspects of its investigation to federal prosecutors in Manhattan. Two months later, the raid on Cohen’s office and home in New York took place. Late last year, Cohen pleaded guilty to violating campaign finance laws, financial crimes, and lying to Congress in two separate prosecutions, one filed by the US attorney’s office for the Southern District of New York and the other by Mueller’s office. Judge William H. Pauley III sentenced Cohen to three years in prison. Cohen testified Feb. 27 in a daylong public hearing before the House Oversight and Reform Committee about what he described as Trump’s lies about his business interests in Russia and his role in the payment of hush money to an adult film actress who claimed to have had an affair with Trump. Cohen called the president a racist, a con man, and a cheat.